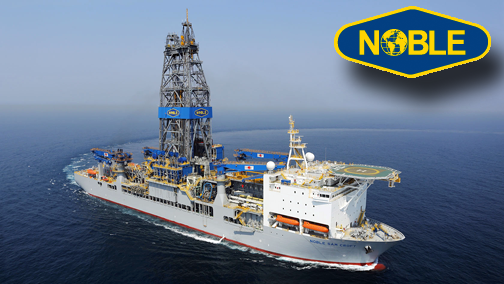 Speedcast International Limited (ASX: SDA) has been selected by Noble Corporation plc (“Noble”) (NYSE: NE) to provide new IT communications equipment and fully managed connectivity services to their global drilling fleet. Through a combination of satellite VSAT and 4G/LTE in key regions, Speedcast will deliver end-to-end managed communication services to Noble’s fleet of vessels and rigs. The solution includes a technology change-out of the fleet’s entire hardware infrastructure, with installations of dual-band antennas and the latest modem technologies to maximize throughput, security and redundancy. Noble will also benefit from segmented operational and crew networks to optimize efficiency and network availability. The end-to-end service will be supported by Speedcast’s 24x7x365 global customer service centers, with local field engineers in each operating region to provide fast, reliable support, unmatched in the industry. According to Speedcast, the company has extensive experience serving customers in the Energy industry, supporting the top global drilling contractors, producers and service companies, using more than 70 satellites with full redundancy over all major operating regions as well as an agnostic approach to the latest access technologies and a team of more than 250 field engineers in 40 countries available 24x7 to deliver a fully integrated, one-service experience for customers onshore and offshore. Keith Johnson, COO and EVP of Energy, Speedcast, remarked that this award is a milestone endorsement of the investment the company has made to establish Speedcast as the global leader in the Energy sector. This award allows the company to demonstrate the truly global scale offered by Speedcast for reliable service in the most remote, harsh environments where critical and high priority connectivity solutions are required.